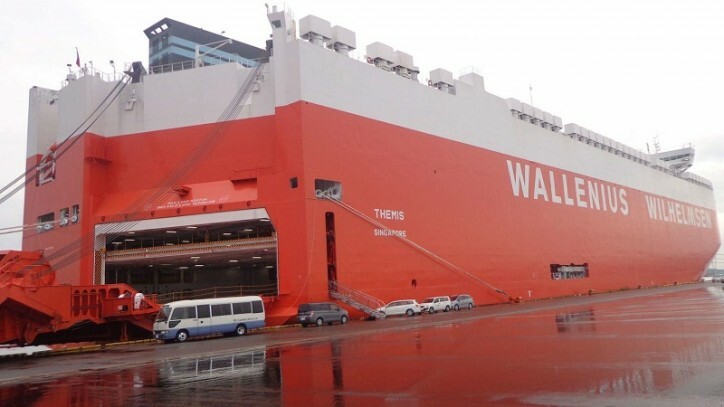 RoRo vessel MV Themis has been commended for its role in cutting greenhouse gas emissions on the Panama Canal. WW Ocean vessel MV Themis has scooped a notable award for its environmental performance on the Panama Canal. The Panama Canal Green Connection award recognizes ships that improve on emissions targets set by the International Maritime Organization. Launched in July 2015, it celebrates vessel operators who demonstrate excellent environmental stewardship by implementing technologies and standards to help reduce greenhouse gas emissions. Find out more about the Company's approach to sustainability. Ships are judged on their efficiency in terms of both design and fuel consumption, as well as the emissions they save by navigating the Panama Canal. “The award recognizes vessels that comply with the highest environmental standards,” says Mary-Carmen Barrios, head of Panama & Latin America port operations, WW Ocean. “It also encourages others to implement technologies and standards to reduce greenhouse gas emissions. Learn more about responsible logistics. Seven other WW Ocean vessels are currently being considered for the award. To be eligible, Panama Canal customers need to have an environmental ship index (ESI) of 35 points. The ESI evaluates the amount of nitrogen oxide and sulphur oxide emitted by a vessel and includes a reporting scheme on greenhouse gas emissions. The ESI is part of the World Ports Sustainability Program, which commits the world’s key ports to reduce greenhouse gas emissions. The Panama Canal has already contributed to the reduction of 650 million tonnes of carbon dioxide, with the expanded canal looking set to reduce an estimated 160 million tonnes of CO2 in the next decade.